Guests download the app directly from the store, login and manage their bookings easily. 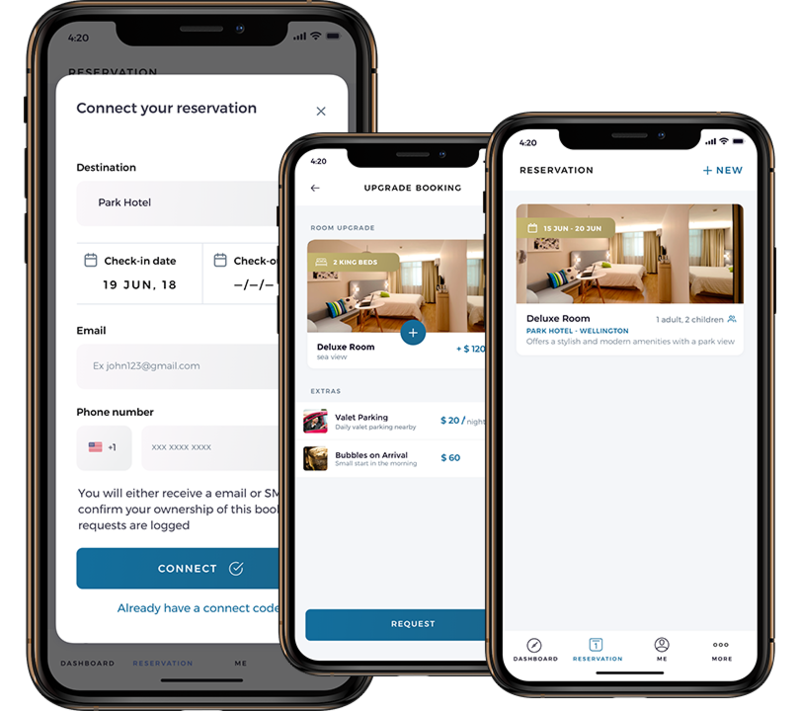 The guest app connects with your PMS and the Altitude suite; CRM, marketing, loyalty, and more. Complete style, icon and image control through a centralised content management system. Once a guest has downloaded the app via the app stores, they can login by using Google or Facebook. The Altitude guest app allows guests to search or create their profile, link existing reservations and join your loyalty program via Altitude Loyalty. 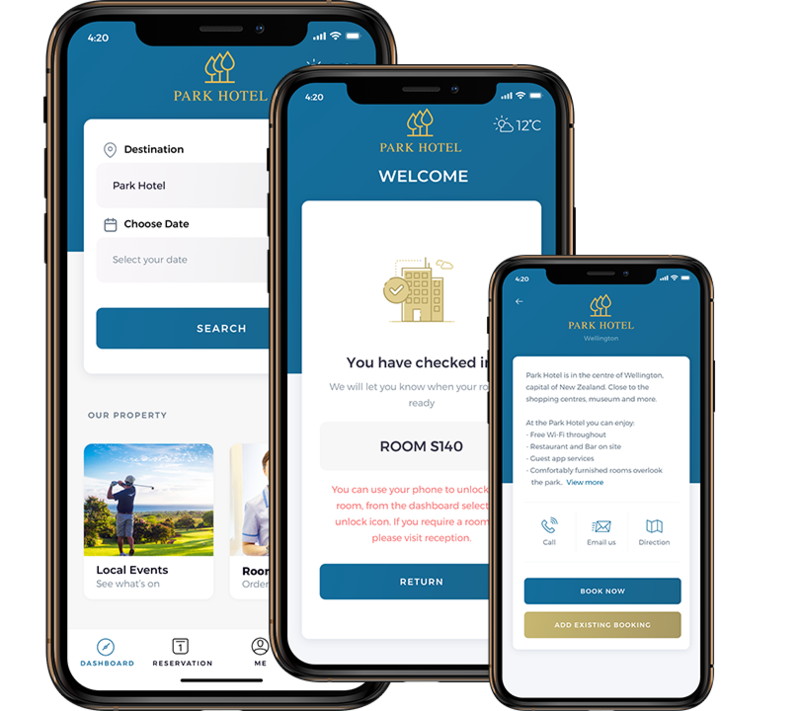 The guest profile is synced directly into the Altitude CRM, where you can view guest stays, room service orders, hotel requests, lost property, loyalty, and marketing campaigns. The guest can signup directly to the properties loyalty program managed through Altitude Loyalty. Guests can view all their upcoming and current bookings. Room upgrades depending on availability are based on property settings. Room extras can be added through a simple interface, increasing room revenue. Guests bookings will be automatically added to their profile when either their PMS guest ID or email match. But for those bookings which don’t match securely a guest can enter in as much details about their reservation, an email or SMS will then be sent to confirm their ownership. Letting your guests know what you have to offer is key. The Altitude guest app allows you to share hotel information such as; restaurant menus, local events, room service, attractions, spa treatments and more. Altitude guest app is also designed for multi-site, enabling cross property loyalty, guest profiles, and marketing. 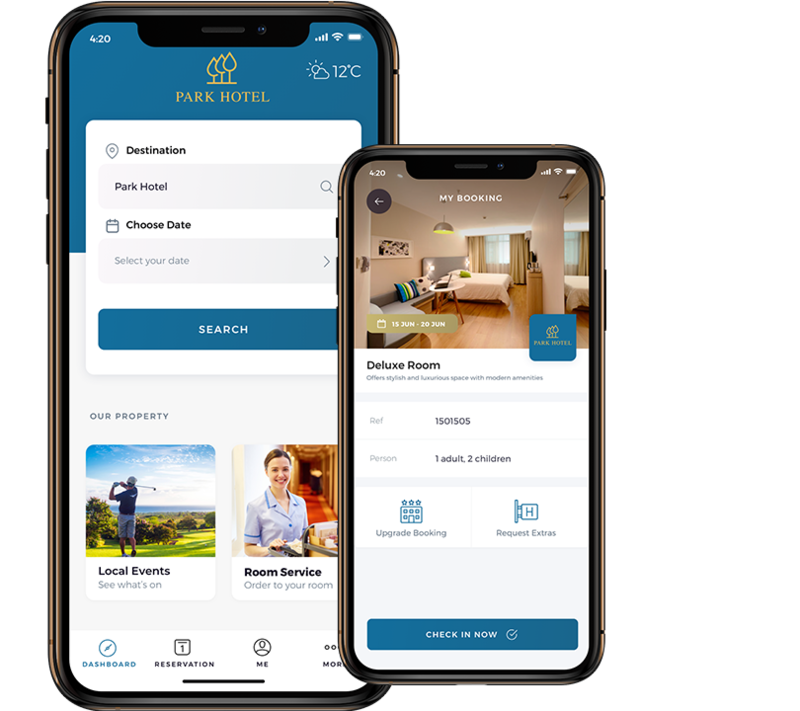 Before check-in the Altitude Guest app empowers the guest to upgrade their room or add in optional extras – boosting revenue per night and more. Allow all guests or just loyalty guests to choose their room, be alerted when the room is ready and finally check-in. All from their personal device. The guest can use their compatible phone to then unlock their room door. If they don’t want to use their device or can’t then the guest can request a room key card. Guests can order complete room service directly from their phone, choosing time of delivery and custom selections of preferences. Room requests go directly to staff apps. Where staff can manage their workflows, process orders, complete orders and then deliver to the guests room. The Altitude Guest App has a complete Credit Card management setup, allowing Guests to setup and change their billing options. Guests can rate their stay live – this provides a live stay feedback to the property staff. Enabling staff to process issues quickly. Upon checkout the guest is asked to rate their stay in a simple face or star rating. Then a more advanced feedback page is displayed where the property can ask any questions which may later impact direct marketing and property improvements. Guests can Check-out directly from the app, finalising their bill, any mini-bar purchases and finally close off their booking. guests can then leave the property without any interaction. 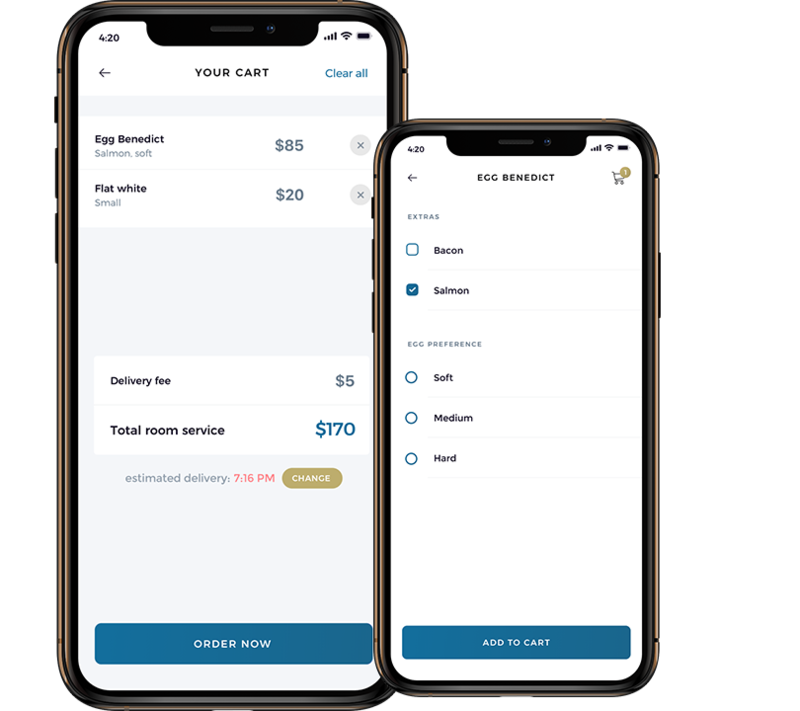 All Guest interactions, orders, requests and feedback go directly to Altitude Hotel Cloud, with a direct Staff App connection staff and managers see a direct line into guest satisfaction and reporting. The Altitude Guest app is built with ease of setup in mind, custom settings, template and functionality. This allows a property to be setup in little time at all. 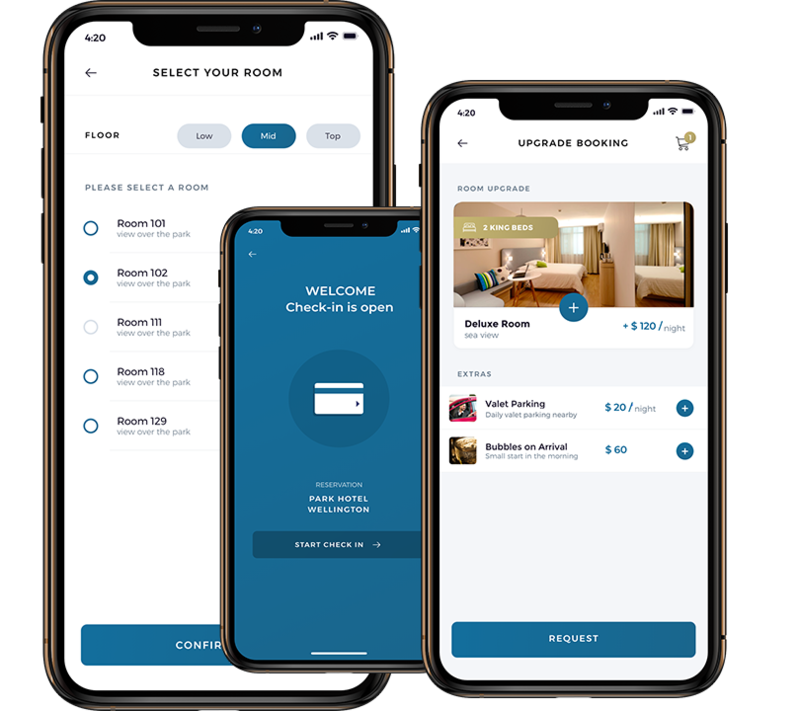 With new connections to payment providers and door lock hardware; the Altitude Guest app is the most advanced and connected guest app solution available. 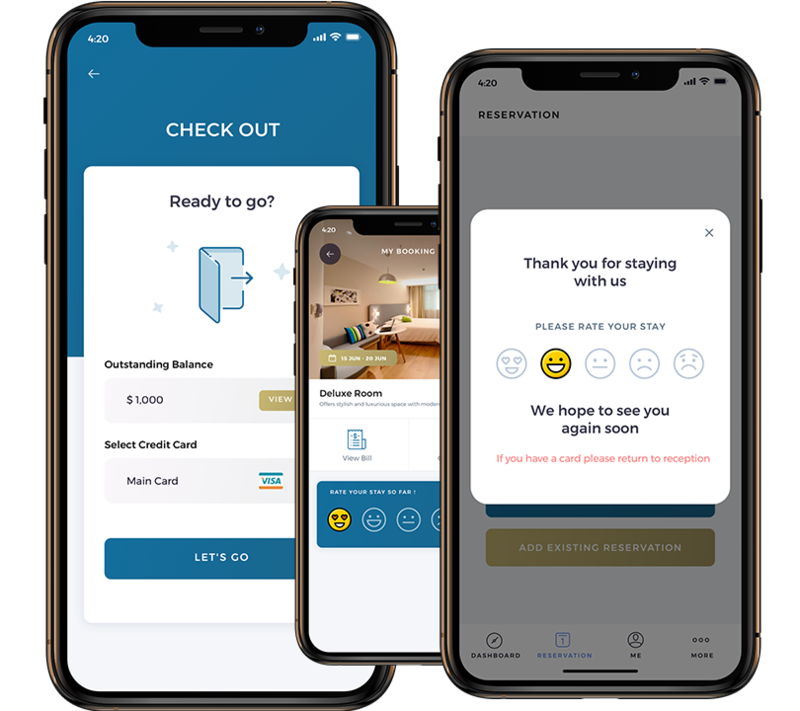 Guests have the direct choice of interacting with the hotel staff or not, giving the guest options to how they manage their stay is important to the guest of the future. The Altitude guest app gives the hotel power to increase revenue with room upgrades, hotel service ordering, and direct business. The Altitude Guest App is always updating, small features will be released at no additional charge and larger functions can be added through a simple subscription. © Altitude Hospitality Limited. Leaders in creating the hotel of the future.